Officials say a Midlands toddler is dead after being struck and killed on a road in Newberry County Saturday. NEWBERRY COUNTY, S.C. — Officials say a Midlands toddler is dead after being struck and killed on a road in Newberry County Saturday. 20-month-old Madden James Madray of Prosperity was struck and killed while crossing a road in Newberry County Saturday, according to Newberry County Coroner Laura Kneece. "According to the family, he was playing in the yard in sight of them," Kneece said. "They turned around and seconds later, they heard a crash and realized something had happened in the roadway." The accident happened on Macedonia Church Road near Wheeland Road, about 3 miles north of Prosperity, around 8 p.m. on Saturday, according to Lance Cpl. Justin Sutherland. 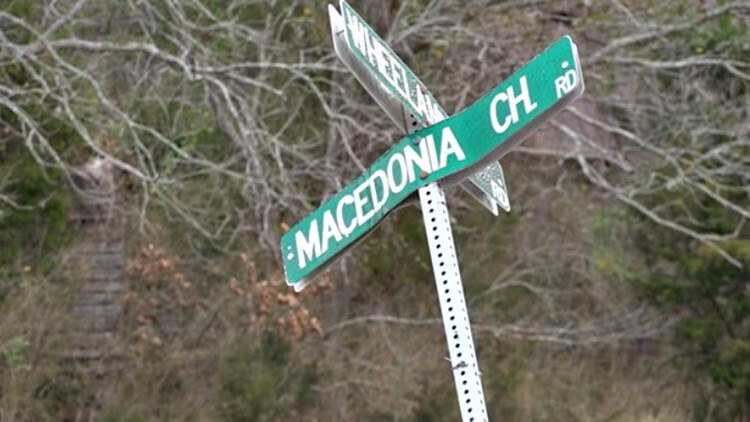 Sutherland says the driver of a 2002 Chevrolet SUV was traveling east on Macedonia Church Road when Madray entered the roadway and was struck. The child died at the scene, according to Sutherland. Madray's grandfather Shane Towe spoke to News 19 on Facebook Sunday asking for prayers from the community. "Madden was the sweetest little boy you ever would want to meet," Towe said. "He never had a bad moment and was just happy all the time. He's an angel in Heaven now. The family needs your prayers and ask that you bless our daughter and son-in-law for they will need healing prayers and support to cope with the loss of their son." The family is well-known in the community, according to Kneece, who called the incident a tragic loss. "I think everybody's heart's very broken," Kneece said. "The pouring out of prayers and sympathy and just surrounding them with love right now is all anybody can do." Kneece says the driver was going the speed limit and no illegal alcohol or drugs were involved that she is aware of. The driver, who was wearing a seat belt, was not injured. S.C. Highway Patrol and the Newberry County Coroner's Office continue to investigate the accident.